Stem cell technology is a fascinating and complex area of medical research. Not surprisingly, the potential health breakthroughs of stem cells have been adopted by the cosmetics industry and used to promote stem cell creams and stem cell serums for anti-aging. How can they make such claims? Cosmetics that contain plant stem cells don’t have the burden of proof requirements that medical research has before a product can be released to the public. Medical research about stem cells involves stem cells that come from people, whereas it’s plant-derived stem cells that are used in skincare products. As it turns out, the most impressive-sounding claims about plant stem cells for skin are rooted more in fantasy than in reality—but they’re not useless ingredients, either. Stem cells are specialized cells, in animals and plants, that are capable of becoming any other type of cell in that type of organism and then reproducing more of those cells in a controlled manner. As you can imagine, these cells play a pivotal role in how plants and skin visibly repair and rejuvenate themselves once they’ve been damaged. The thinking, as far as plant stem cells in cosmetics products, is that extracting stem cells from certain plants (usually apples, grapes, melons, or lilacs) can help skin look younger and better defend itself against environmental aggressors. If you’re thinking that sounds a lot like what antioxidants do, you’re right! Although plant stem cells cannot work as stem cells on skin, they do maintain their antioxidant ability. That’s why using products with plant stem cells isn’t a total waste of time and money. How Come Plant Stem Cells Can’t Work as Claimed? Simply put, plant stem cells cannot deliver their promised results. That’s because stem cells must be alive to function as stem cells, and by the time these delicate cells are processed and added to skincare products, they’re long since dead and unable to work as they once did. The other problem: In people and plants, stem cells act only under certain environmental conditions. If everything isn’t lined up just so, the stem cells remain at rest. Actually, it’s a good thing that plant stem cells in anti-aging products can’t work as claimed; who wants their skin to take on the qualities of an apple, grape, or melon? 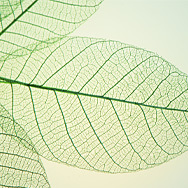 Plant stem cells cannot influence stem cells in human skin. If you’re buying a stem cell cream for its touted benefits, it’s not worth the extra cost. Plus, if such products are packaged in jars, they’ll quickly lose their antioxidant benefits as well, because plant extracts break down with repeated exposure to air and light, which jar packaging allows. What About the Benefits of Stem Cells Helping Plants Survive in Harsh Conditions? Some skincare products with plant stem cells claim that because a plant’s stem cells allow the plant to survive in harsh climates, these preservation benefits can be passed on to human skin when it’s exposed to aging elements. Sadly, that’s overpromising. How a plant functions in nature is completely unrelated to how human skin works, not to mention that these claims are without substantiation. How well a plant survives in the desert or in a miserably cold climate doesn’t apply to us because no matter how you slather such products on your skin, you still won’t survive long without specific nutrients, shade, clothing, and other skin-protective factors, which plants just don’t need to worry about. A final twist on the stem cell issue is the claim by cosmetics companies that they have extracted components (such as peptides) out of the plant stem cells and made them stable. They go on to state that these ingredients will work as stem cells or will influence the adult stem cells that are naturally present in our skin. This approach sounds enticing, but it’s just not valid, as plant stem cells must be complete and intact to function normally. Using peptides or other ingredients to influence adult stem cells in skin is something that’s being explored, but to date scientists are still trying to determine how that would work and how it could be done safely. Once you know how the stem cells really work, it’s easy to see how they cannot work as claimed in anti-aging products.